We are not sure what agreement these two made before heading to the US Open but whatever it was we can’t get enough of it! 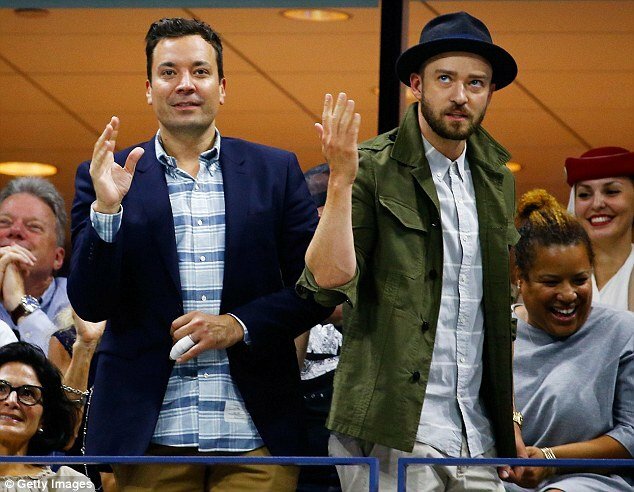 Justin and Jimmy were spotted at the US Open together. When the duo caught the camera watching them, they instantaneously looked at each other, laughed hysterically and busted out the infamous ‘All my Single Ladies’ dance moves. The crowd clearly loved their impromptu performance and is heard cheering them on. If watching the tennis wasn’t enough entertainment then this is sure to satisfy all your needs.